Yes, I am a guild member. After all the fantasy and science fiction I have read, I am enthralled by the possibilities. No, I did not join a thieves guild or an assassins guild. The only initiation rites I had to pass involved a Paypal account and a word document. As anti-climatic as you might find that, I am giddy. Ahem, ANNOUNCING the newest member of the Houston Writers Guild: ME! Seminars and workshops and critique groups and community and contests and…. What’s not to like? I cannot wait to explore this new group of people. There is a meet and greet on January 13th. It is the same day as the Girl Scout Community Meeting. I will beg another adult from our troop to attend for me. Then I am free to hobnob, rub elbows, etc. I am crossing my fingers. Well, I will cross my fingers as soon as I am done typing. From the bit of experience I already have with members of the Houston Writers Guild, their experience is varied. I look forward to garnering knowledge from the veterans and sharing frustrations with the newly minted. Meanwhile, the children are back in school and I am back at the keyboard. I finished Chapter 24 today. Before I continue to Chapter 25, I want to create an excel spreadsheet to keep track of my short stories. I have explored many potential markets for my creations, the details which have gone in and out of my head. It’s a waste of time to view the details of each site every time I finish a new short story. Maybe I could if all of my stories had the same feel, but they don’t. Some are dark. Some are lighthearted. Some are for the young. Some for the cynical. Some are deeply moving. Some are high adventure. Some are not even in the fantasy or sci-fi realm. Shocking, I know! I hope a sheet with the URL, genre, voice (which I have learned IS different than genre), cost, and deadlines will guide me to the appropriate home for each short story. I will likely add consistent contests as well. A second sheet in the same database will list each work, along with where it currently journeys (hopefully, never stuck on my computer without an audience), where it’s been rejected, and where it was eventually published. I’m sure there are other details I need to add, but my inexperience is leaving many blanks. Only one way to GET experience, right? 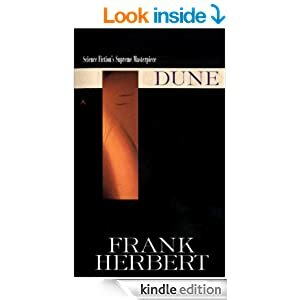 For my reading selection, I am falling back on a classic sci-fi novel: Dune by Frank Herbert. The struggles of a fat empire dependent on a poor world for a precious, natural commodity rings true to a spoiled country dependent on oil controlled by people we do not understand. I recently finished re-reading this novel because I am obsessed with Kevin J. Anderson’s work. I realized I could not experience all his novels without refreshing my memory with the Dune universe Anderson is so fond of exploring. The story in Dune holds up to a modern eye. I am not convinced the writing style would work with a modern publisher. For instance, it is written in third person omniscient. Herbert routinely flowed from one character’s thoughts to the next character’s inner musings on the same page. I was chastised for doing the same thing. Mind you, Herbert did it seamlessly. What do you think? I have five more to go before I hit the Brian Herbert / Kevin J. Anderson novels. It’s fun to visit old friends!